A curl defining styling cream that delivers frizz-free, long-lasting, natural-looking curls to different types of hair. 118 ml℮ / 4.0 fl. oz. 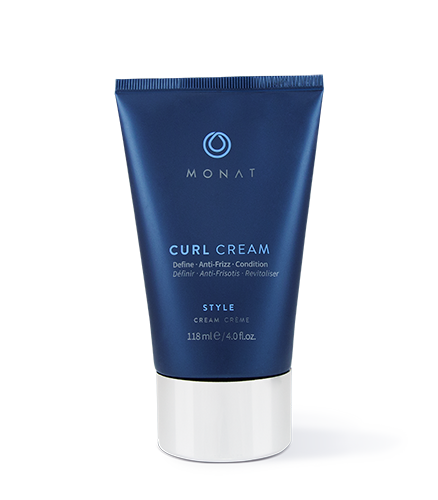 To learn more about Curl Cream, please contact your MONAT Market Partner. Created for all types and lengths of natural curly hair, from short coils to long waves, this lightweight curl-perfecting styler is specifically designed to create full, round, spring-back curls that are soft to the touch, never crunchy. Formulated with a modern blend of nourishing ingredients to treat each ringlet from root to tip in a hydrating veil, it creates the perfect amount of frizz-free separation and curl definition. Great for all types and lengths of natural curly hair. Lightweight, will not weigh hair down. Delivers frizz-free, long-lasting, natural-looking curls. Defines and conditions curls while providing light hold. Contains nourishing Shea Butter for envious curls. 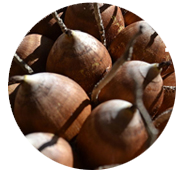 Contains Babassu Oil and Murumuru Seed Butter for improved manageability. Apply Curl Cream evenly from root to ends to wet, damp, or towel dried hair. Diffuse or let your hair air dry. Wavemax® is a registered trademark of Chemyunion.